Brad Spencer’s sculptures are strange in that I immediately what they are, what they represent, but don’t know how he did it. 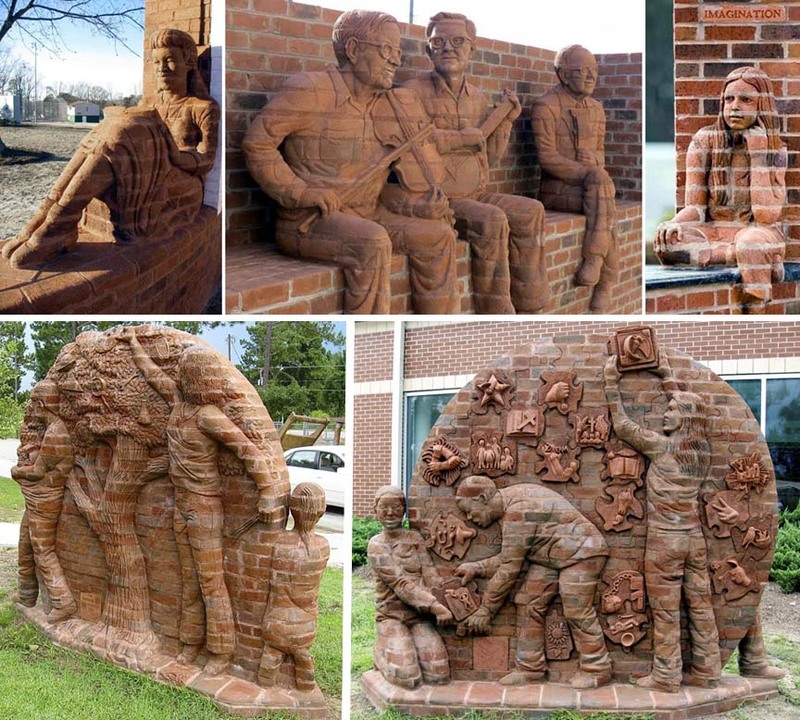 Brick sculpture can be dated back to ancient Babylon but remains a fresh and interesting enhancement to any building, wall or environment. Projects may include bas (low) relief, high relief, full dimension free standing and often a combination. The brick medium has all the same characteristics of durability and low maintenance as a brick building, blends well in settings where other brick construction is present, looks good with landscaping and has a familiarity which is comforting to people. 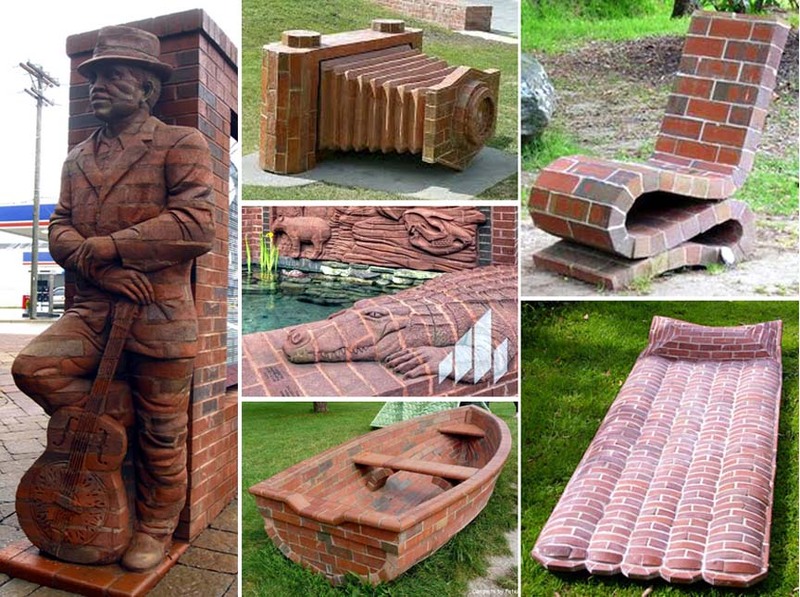 Brick sculpture adds intrigue and interest to a commonly understood material as viewers try to figure out the techniques by which it was created. baked them and laid them up? I suspect the latter but don't know for sure. There is a video offering at the second link above that, if you can pry it open, provides a long and boring story that partially answers the "how" question.